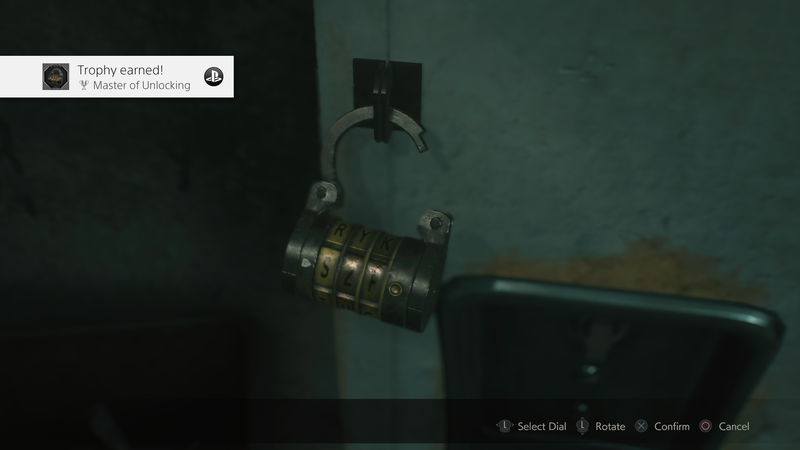 Are you looking to unlock all the lockers, find all the safe combinations, and pop open the portable safes in Resident Evil 2 Remake? This “accessible” guide has you covered. One of the first puzzles you come up against in the Resident Evil 2 Remake asks you to unlock Leon’s desk, so let’s start there, shall we? You’ll see a note stuck on Leon’s desk, telling you his new colleagues have locked it and the solution is their initials. What might throw you off is the fact that police call each other by their surnames, but you need to use their forename for this. To unlock the right hand side, use the code: MRG. You figure this out by looking at the other police desks to the right and checking out the name cards: Marvin Branagh (M), Rita Phillips (R), and then George Scott (G), whose name plaque has been knocked onto the floor. To unlock the left side of Leon’s desk, use the code: NED. The logic is exactly the same as the last one, with David Ford (D) and Elliot Edward (E) giving you two of the three solutions, but remember that you’ll have to enter the names the other way around to make NED. 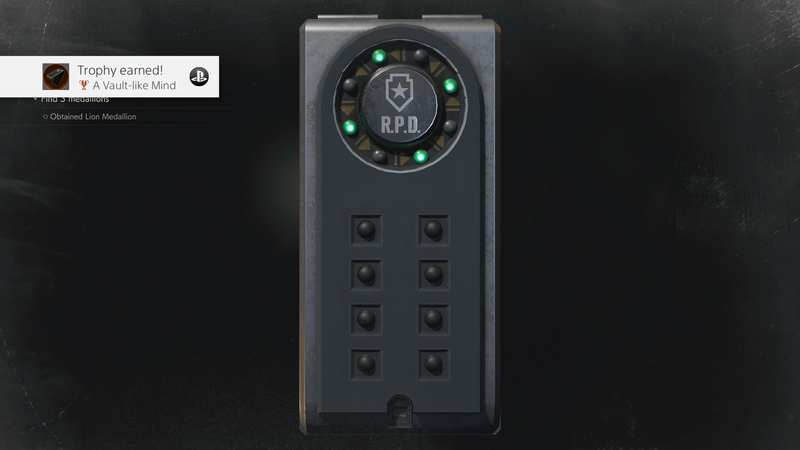 If you’re playing as Leon, you’ll get a High Capacity Magazine for your pistol. If you’re playing as Claire, you get a Speed Reloader for your revolver. East Wing Waiting Room Safe Combination: left 6, right 2, left 11 – gives a Muzzle Brake for Leon, or an Extended Mag for Claire.